The summer is nearly over, but there's a huge party kicking off this weekend, when Friday 30 August marks the 101 year anniversary of the Blackpool Illuminations. This year Wossy himself – Jonathan Ross – has the honour of switching on the the lights, and they're always a magnificent display that lasts well into the autumn: 73 nights in all, until 10 November 2013, so there's no excuse for not checking them out. If you're tempted, be sure to check out a few of our favourite Blackpool haunts while you're there. This glam-boutique abode is certainly not your average B&B. It's opulence at every turn, with whirlpool baths, an outdoor hot tub and wifi throughout. A great value B&B right in the heart of the town's gay scene. There are no nonsense rules or restrictions – the clientele is used to partying until late and getting up even later. One of Blackpool's more elegant B&Bs, with half a dozen rooms sporting contemporary oak furniture and king-sized beds, underfloor heating, wet room showers and a TV next to the bath. The onsite hotel for the Pleasure Beach isn't the sell-‘em-cheap-pile-‘em-high experience you might imagine. Instead it's a great value, super family-friendly four star hotel. No trip to Blackpool would be complete without sampling the fish & chips. But forget all the honeytraps on the prom, this is by far the best pick of the bunch. A rare oasis of contemporary cuisine in Blackpool, Kwizeen takes honest-to-goodness Lancashire ingredients and gives them a Mediterranean twist. A nice breather from all the other bars which usually make you either sing, remove clothing or play drinking games. Half a dozen real ales on tap too. A slice of Blackpool history, Roberts' has been serving seafood to the town since 1876. Although it's changed somewhat, it still serves up great seaside snacks. UK humour in all its glorious hilarity, profundity and downright battiness is celebrated at Blackpool's latest piece of public art – a Walk of Fame-style all-weather "carpet" that mimics the playbills of old. As if the Illuminations weren't enough, Blackpool now gives you the year-round, open-air light-and-music show – a party-inducing flashdance down a central pedestrianised street. 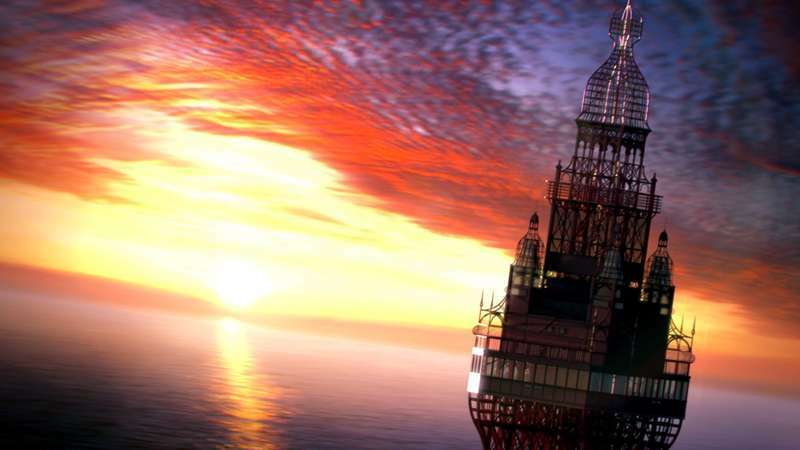 Iconic, grand and elegant, Blackpool Tower offers a lot more than just sensational views. An animal-free circus, 4D cinema, Tower Dungeons and a sensational glass-floored Skywalk.